The long awaited conclusion to 'Tangled Ivy' didn't fail to entertain. Devon and Ivy are finally together but they are on the run from assassins and the FBI. Time is also running out for Ivy as the virus she is infected with is killing her. I loved that, right from the beginning of the book, Ivy plays a central part in determining her own fate. She takes control of situations and doesn't wait around for a man to save her. I liked that we also see a softer side to Devon as he takes care of Ivy during her illness. The reasons for Vega's obsession with Devon is revealed but I thought the history surrounding Vega and Devon's family were slightly convoluted and contrived. I wasn't completely happy with the ending regarding Vega. For such an evil character she deserved a really grisly end. 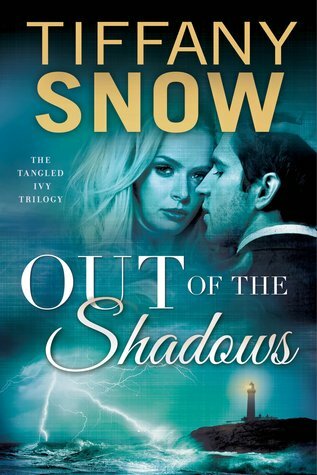 I enjoyed reading 'Out of Shadows,' and the previous books in the series. I'd recommend reading the whole series. Tiffany Snow writes in a very formulaic way. I don't really mind this as the time between publications puts some distance between them and my memory of the story fades somewhat. I quite like her action packed and suspense filled tales along with the alpha males and love triangle tropes. Her formulaic style may disappoint new readers though who are only now discovering her work and are maybe expecting something new when they dive straight into a new series after finishing the first.